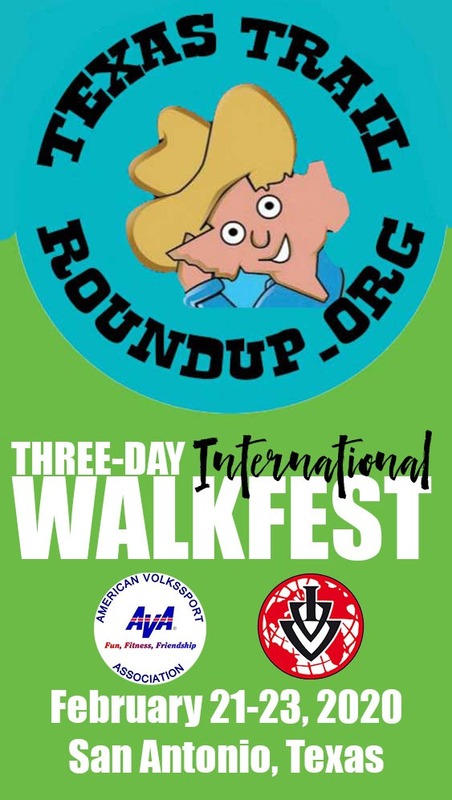 For much of their duration, all of our walks during the Texas Trail Roundup will follow the course of the San Antonio River. Our river starts in a spring about four miles north of downtown (The “Blue Hole”, located on the campus of the University of the Incarnate Word) and meanders south for 240 miles until it feeds into the Guadalupe River about ten miles from San Antonio Bay on the Gulf of Mexico. The native peoples called the river Yanaguana. The Spanish camped along the river on 13 June 1691, the feast day of San Antonio de Padua, and re-named the river after him. Would you like to know our river better? 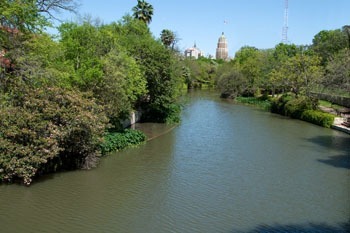 The River Tour is a guided, narrated tour via barge on the San Antonio River. You can catch it at three locations: 1. Historia (Under Market St. Bridge & Alamo St.) – across from Hilton Palacio del Rio 2. Clearwater (Rivercenter Mall – (Commerce & Bowie St.) – River level of Rivercenter Mall 3. Aztec Theater (River Level Aztec Theater – Crockett & St. Marys St.) Tickets are $10; $7 for those over 60 and US active duty military. It’s open from 9:00AM until 9:00PM. You can buy your ticket online via credit card or with cash at any of the three stops. The River Taxi is not narrated, although the barge drivers can answer questions and will point out public art along the way. The tickets cost $10 for a one-way trek up or down the river, $12 for an all day pass or $25 for a three day pass. The operators recommend that you buy your ticket on the barge, using cash. There are 39 stops between the Lila Cockerell Theater at the Henry B. Gonzalez Convention Center and the Pearl. There’s an interactive map showing all the stops, and an app (which will also tell you when the next barge is due to arrive at your stop) . On the live GPS map you can see our event hotel, The Holiday Inn Downtown: it’s the big U-shaped building to the left-center of the map, at the corner of Cesar Chavez and Santa Rosa. You can hop on and off as often as you wish.